This event is the largest networking event of the Herefordshire & Worcestershire Chamber calendar. It’s free to attend and there’s even free tea and coffee! We’d love to say hello to you on the BNI Warriors stand! The expo will feature over 120 exhibitors and there will be hundreds of visitors attending. Gill Hutchinson of Aardvark Marketing will be joined by fellow BNI Warrior members to talk to visitors about this new and exciting referral networking group at the heart of Worcester, and answer any questions you may have. While you are there why not join one of the free seminars or make new connections in the Networking Zone? This is the go-to event for anyone starting or growing a business as well as for business professionals looking to improve skills and develop key relationships through networking. 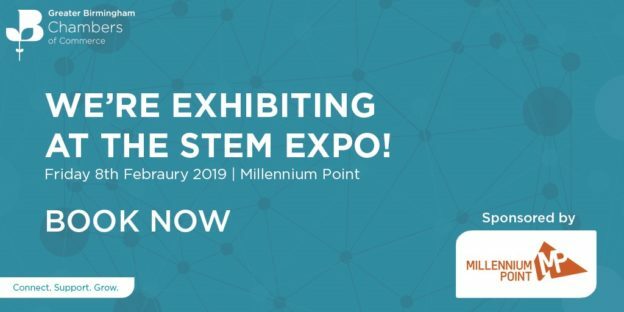 Say hello to Aardvark Marketing at the STEM Expo, for businesses who are focused on Science, Technology, Engineering and/or Maths related areas. This forms part of a series of events aimed to expand and improve the capacity of STEM businesses in the Greater Birmingham region. It’s a unique opportunity to get your name out there – both within the business community and the wider public – to grow your network, attract new talent and expand your business. If you’re new to Chamber events, the Team will be on hand to introduce you to delegates and make you feel welcome. Just come and see us on the day and we’ll be happy to point you in the right direction! Unlike most marketing agencies, Aardvark work as outsourced marketing specialists, so you have access to skilled sales and marketing expertise, as and when you need it. This results in more customers, more sales and most importantly, more profit, without the need to employ a full-time member of staff. In 2018 we were voted Best UK company for Excellence in Marketing Management Services and the Best UK Social Media & Content Marketing Specialists. Over 200 organisations have benefited from Aardvark’s advice, they range from start-up ventures to international companies with multi-million pound turnovers. Expo visitor offer – Visit our stand and get one-month free marketing support. It’s free to attend as a delegate, book your place here. 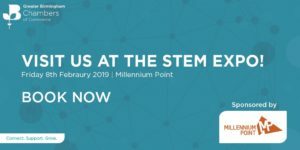 This entry was posted in Business and tagged Aardvark Marketing, Birmingham Chamber STEM Expo, Millenium Point, STEM on 31st January 2019 by Gill Hutchinson. 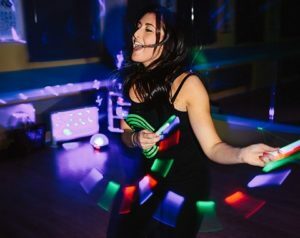 Bring a night out to your workout! Love exercising? 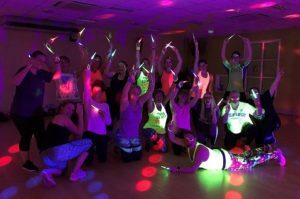 Sue and Tina, 2 crazy Worcester fitness instructors are running a full-on, two-hour Clubbathon in aid of Sight Concern Worcestershire, which promises to be enormous fun. 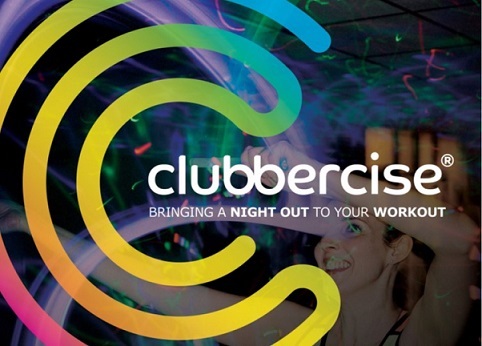 If you like club classics, a bit of a boogie and a laugh then this is for you! Tickets cost just £10 and are available through Gill Hutchinson gill@aardvarkmarketing.co.uk or from Penny Weir at Sight Concern, p.weir@sightconcern.co.uk . Aardvark Marketing have chosen Sight Concern as their charity for 2019. Many people are absolutely terrified when they walk through the Sight Concern door. They have lost – or are losing – their sight. They don’t know how they’re going to cope with every day essential tasks like choosing clothes, making a cup of tea or getting from home to the work or to the shops. They don’t know that they will soon be coping day to day and many will be enjoying life, developing new interests and taking up new hobbies. It’s amazing what they can do! Your support helps Sight Concern to continue this life-transforming work for people affected by sight loss. Sight Concern Worcestershire support blind and partially sighted people in the county to lead independent and fulfilling lives. Sight Concern Worcestershire is the only charity dedicated to improving the lives of people with sight loss in the county. They don’t receive funds from other national charities for people with sight loss such as RNIB or Guide Dogs for the Blind Association. This entry was posted in Business and tagged Aardvark Marketing charity, Clubbathon, Sight Concern on 15th January 2019 by Gill Hutchinson. Aardvark Marketing was created to help SMEs achieve better results from their marketing activities. The firm has just won the 2018 TMT Global Excellence Awards as the ‘Most Outstanding Marketing Consultancy in the UK’. This success follows hard on the heels of CV Technology Magazine 2018 awards for social media & content marketing and marketing excellence making 2018 the company’s most successful year to date. Aardvark approach their services from a perspective that, whilst perhaps unusual, makes sense for their market. Namely, they see themselves as providers of outsourced marketing services. Gill explains, “It is much more cost-effective than a full-time hire for our customers.” Aardvark provide expert services when their client’s need it most, without the commitment and costs of an in-house team. You can read the full TMT article about Aardvark Marketing here. This entry was posted in Business, Marketing and tagged Aardvark Marketing Consultants Ltd, Chris Hutchinson, Gill Hutchinson, Global TMT Awards 2018, UK's Outstanding Marketing award on 30th November 2018 by Gill Hutchinson. I seem to hear this more and more often, usually by someone defending their right to communicate a point of view that a large number of people find offensive in some way. Also, this week, the Labour Party’s NEC agreed to adopt the International Holocaust Remembrance Alliance’s definition of anti-Semitism with an extra statement relating to free speech. And every time there seems to be a case of Internet ‘trolling’ there seems to be a defence of the abusers along the grounds of freedom of speech. In the era of social media, it seems many people forget that what 20 years ago would have been a comment to a friend over coffee or a beer, is now published for anyone to read. Social media platforms continue to insist they are not media owners, but we all know that Facebook, Twitter and Google etc. are powerful media channels. All this made me curious about what ‘Free Speech’ actually means from a legal perspective. According to Wikipedia (I know this isn’t necessarily accurate) the correct term is actually ‘freedom of expression’ and there are around 25 listed exceptions, which I assume means things you can’t say. These include abusive or insulting words, defamation and trade secrets. It appears then that in the eyes of the law you can’t just say anything you want and claim the right to free speech. Firstly, we need to be clear about what we are trying to achieve. Then we think carefully about the target audience – who is going to receive the communication and what do we know about them, their beliefs and behaviours. How will this communication be received and what effect will it have on them? We should spend time designing the message text and visual imagery – an effective message needs careful crafting, should be single-minded and expressed as simply as possible. We also need to carefully select the medium – the medium and message need to work together, and the medium should have a good fit with the audience, not just readership, but the way in which it is consumed. Finally, we should measure and learn – did the message get through and did it have the desired effect? I can’t help but think that most instances of ‘free speech’ on social media that causes upset would benefit from taking the marketing approach. Thinking about who the message might reach (given the platform), and carefully considering the message, might just cause less offence. But if you have an overwhelming urge to say something offensive, the pub might be a better place than Facebook or Twitter. This entry was posted in Marketing and tagged Aardvark Marketing Consultants, Free speech, freedom of expression, marketing, marketing communication, reviews, trolling on 7th September 2018 by Gill Hutchinson. Software as a service (SaaS) is here to stay. Suppliers have moved to a new model, the ‘pay as you go’ system. Those of us who remember the old-fashioned way to purchase IT, when you bought a disk with your program for a fixed, upfront price that you downloaded onto your computer, are increasingly seen as out of touch ‘dinosaurs’, whose ‘rose-tinted’ views are frequently dismissed as being hopelessly behind the times. It’s easy to see why software providers have taken this route. 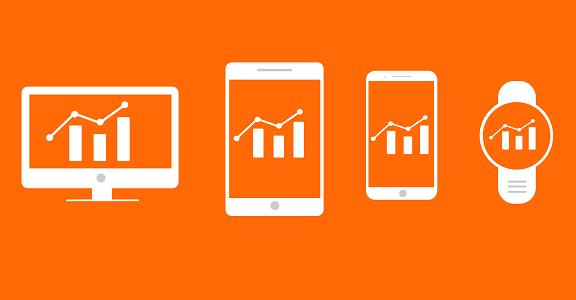 From a service provider point of view the monthly subscription model practically guarantees a regular and more predictable cashflow into the business, with users paying each month rather than when they buy an upgrade. The monthly fees look manageable to a prospective customer, they don’t have to find the whole cost and pay for it upfront. No longer do you have to provide support for customers who don’t want to replace or upgrade their older systems, as upgrades are done for everyone, automatically. Because change is always disruptive, users will be reluctant to move to a competitor once they’ve made the switch to your software. Finally, our legislators sometimes play into their hands by insisting that we switch. 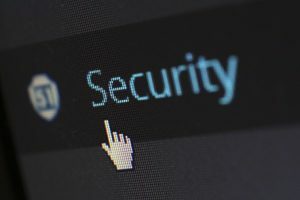 Recent GDPR legislation and the UK’s forthcoming ‘Making Tax Digital’ requirements have allowed the industry, with its well-placed and influential lobbyists, insist that every business – no matter how large or small – comply with the same digital rules which are difficult or impossible to do without upgrading your IT software. But is this a raw deal for the customer? Have we got SaaD (Software as a Disservice)? Pay as you go means you’re still locked into the product in precisely the same way as before because coming out still means moving data from one system to another. 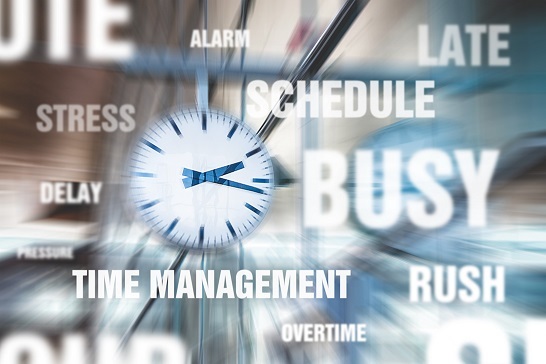 This means management time, effort and hassle to change systems. It’s still risky to switch provider. Monthly fees can easily outstrip what you would have paid over the lifetime use of the product e.g. a £300 one-off price tag is the equivalent of just over a year at £22 per month subscription. Given that most purchased software would last a business more than 2 to 3 years before it needed upgrading, that’s an increased cost of £492 or over 2 ½ times the cost of buying outright. Problems with products are not always dealt with by the supplier and can develop after the initial installation. If a business had a problem installing a new product this would result in a complaint and getting the issue fixed. With pay as you go, glitches are not always detected and resolved at the outset, leaving the customer with a product that doesn’t work and the unappealing prospect of trying to get through to a real person in the software company that has the knowledge to fix it. I personally abhor the practice many suppliers use of hiding their support contact phone number and instead keeping you waiting through their email ‘ticket’ systems. In practice, this means a user with a problem cannot fix it without delay and disruption to their working day, which has a negative effect on productivity. Often their website directs you to videos or ‘How to guides’ that don’t always, in practice, tell you enough detail to fix the problem yourself. Often you are paying for functionality that you’ll never need or use rather than just buying the product that is right for your business. The same phenomenon happened with mobile phones, as the technologists driving the new product development added more and more functionality that wouldn’t, in practice, be used by most of their customers. Once you’ve bought SaaS you are constantly being bombarded with new upgrades, emails telling you about new functionality and getting confused as the dashboard and menus are changed without your prior notice or consent. This is rarely conducive to improving productivity and occasionally the company insists that your monthly fees go up to pay for something you never asked for in the first place! Conversely, larger organisations that may wish to have more customisation of their IT systems are often limited in their ability to do this. Honesty regarding functionality of the software. Occasionally, in my experience, you contact a support line only to find that the software company knew there were issues with connectivity. For example, we use one of the best-known accountancy SaaS packages, but it has intermittent problems connecting to our bank feed. The company in question, when asked to help us deal with this, knew from the outset that there could be issues, but this wasn’t explained on their website before we went ahead and moved our systems over, nor was it picked up during our 2-week free trial period. Talking to the company concerned did not get a sympathetic response or a reduction of the fees we pay to use it, even though we are still unable to get this to work correctly several months later. Our previous system, which just lived on one PC, didn’t integrate with our bank account, but a monthly bank reconciliation was relatively quick and painless to perform. Another reason to be wary of this way of doing business is data security. Your previous business server might have been old, and it may have been a little slower than you’d like, but access to it was restricted. With the new ‘cloud based’ servers a customer no longer controls the physical location or has complete control about whether the data can be accessed by a hacker. Remembering passwords has now become a full-time occupational hazard (here at Aardvark Marketing we even have specialist software that helps us deal with this) and if you forget to bring your mobile phone with you the 2-step security log in becomes not a safety feature but a barrier to legitimate entry. It’s all too easy to click to open a rogue email masquerading as an important upgrade from your banking software, your accountancy software, your email systems, your CRM etc. That means we all need ever more expensive IT back-up systems to take care of us. Our data, and our customers data, has become a little less secure because it’s all interconnected. Finally, control. 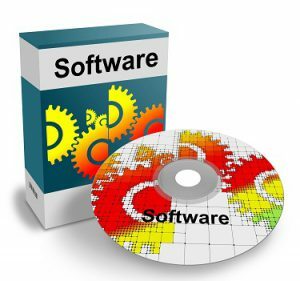 We’re now in the hands of our software suppliers as never before. If they go out of business because of mis-management or lose out to a more competitive product, we can potentially lose access to our precious data, systems and processes. Just like those customers who bought into Betamax (for better quality sound and vision) rather than VHS video, your software could be obsolete, and you’ll have to invest time, money and effort in replacing it with a different product. Recently, we had access to our cloud-based project management system blocked because of tightened cyber security measures added by our service office internet provider. Like the driver at the steering wheel of a driverless car, we have no choice about these settings, someone external to our organisations is effectively imposing ‘controls’ on our behalf. Here at Aardvark Marketing we’re not luddites, we were early adopters of many of these new and exciting systems. We’ve won numerous awards for innovation and some of our own customers are building their business on the SaaS model. If I could wave a magic wand I’d like more thought from our software providers (large and small). Yes, the world is your oyster as far as breaking modern technology boundaries is concerned, but good marketing starts with really getting under the skin of your customers. There is a difference between customers who are huge fans of your software and those who merely bought it because it is the market leader or even because they were misled into believing it the latest silver bullet. If you’d like all your customers to be raving fans, why not talk to us on 0121 222 5743 or contact us here. This entry was posted in Business, Marketing and tagged Aardvark Marketing Consultants, GDPR, Making Tax Digital, pay as you go, SaaS, software on 21st August 2018 by Gill Hutchinson. I was asked recently by Aimee Farley-Higgs at Headturner Search to take part in their Worcestershire Talking Heads. They ask people in the local business community to share some of their background, achievements and motivator /demotivators. Definitely not by design! I have a science degree, so initially thought I would go on to a masters in genetics and cell biology, only to find this probably meant moving to the US when I was engaged to be married. I worked for 2 years as a chartered accountant to learn more about business and enjoyed the practical, management accounts side but later realised that stocks and share options bored me to tears. So I was lucky to get a position at Black & Decker in their European headquarters, initially doing market research and pan-European marketing activity (remember all those multi-lingual instruction leaflets, anyone?) and then moving into other brand marketing positions in jewellery and in health and beauty. It’s a great feeling to walk into a prestigious store like Harrods, Selfridges or your local supermarket and see your own advertising or promotions at work! I learned a lot about good marketing practices – being responsible for sales and profits and getting other people in agencies or in your own company to do things under your direction when they don’t report to you. Not many women in their twenties can spend such large budgets and be held accountable for them. What do you enjoy most about being in the business? I love the variety that comes from advising many different business owners and the freedom to choose who you want to work with. Recent work with the Worcestershire Business Accelerator as a core advisor and with the Changing Futures Fund for Worcestershire charities meant meeting many more local organisations and delivering changes in a brief period. It’s challenging but very rewarding. The best days are those when you can celebrate a successful outcome for a customer, perhaps when they gain a new key customer or do well at a trade fair or get a PR article placed in an influential publication. What top 3 words/ phrases describe you best? 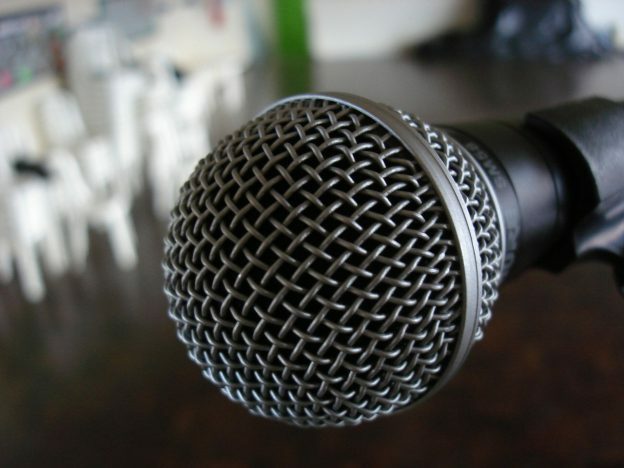 What would you say would be your biggest achievement to date? Being recognised for our contribution to our industry. Aardvark Marketing have won 4 Technology Innovator awards in the 3 last years for Best SME Marketing company, Best Marketing Automation, Excellence in Marketing Management Services and the Social Media & Content Marketing Specialists. These awards from the international Technology Innovators CV Magazine show that it’s possible for a small business to make an impact. I find it very difficult to say ‘no’ and give more free coaching sessions to charities and start-up business owners than is good for my own business! Right now, I’m mentoring in the Birmingham Accelerator Hub, I’m on the Policy committee at the Birmingham Chamber of Commerce and the Reducing the Cost of Doing Business committee at the Hereford & Worcestershire Chamber. At work, the thanks of my customers and learning new skills. Tom Stanhope at VideoTrack is helping me add vlogging to my regular blogs (you can see my efforts on LinkedIn or on our YouTube channel). Otherwise I’m a home loving girl who enjoys a good laugh at a family meal or a quiet afternoon with a book, a glass of wine and some sunshine in the garden. That’s easy – IT! There are always new advances in technology in the marketing world and I’m bombarded by companies trying to sell me their own new software. It’s easy for a business owner to buy a new system, much harder for them to realise the benefits when they have several systems that don’t necessarily talk to each other, making it hard to work out what the return on investment is. I spend hours trying to get hold of technical support people and understand how I can fix problems on behalf of my customers. Oh, and please don’t mention the words’ ‘GDPR’ or ‘Making Tax Digital’ to me unless you’re feeling brave! I’m not much good at crystal ball gazing but I hope I’ll still be enjoying working for Aardvark Marketing and managing a larger team. What is the best USP about your current business? We are outsourced sales and marketing specialists who work as an integral part of each senior management team. Unlike most marketing agencies, who concentrate their expertise on one aspect of marketing, we’re like an independent financial advisor – able to recommend strategies and activities that will deliver the best return for our customers regardless of whether this is digital wizardry, digital advertising or good quality PR, direct mail or trade fairs. What is your favourite local restaurant and shop? For a coffee and cake in town, Mac and Jacs deli on Friar Street, for Friday night fish & chips, the Crispy Cod in Barbourne and for a family meal, Wildwood in the Crowngate where you can enjoy some people watching as you eat. Favourite shops are always bookshops! 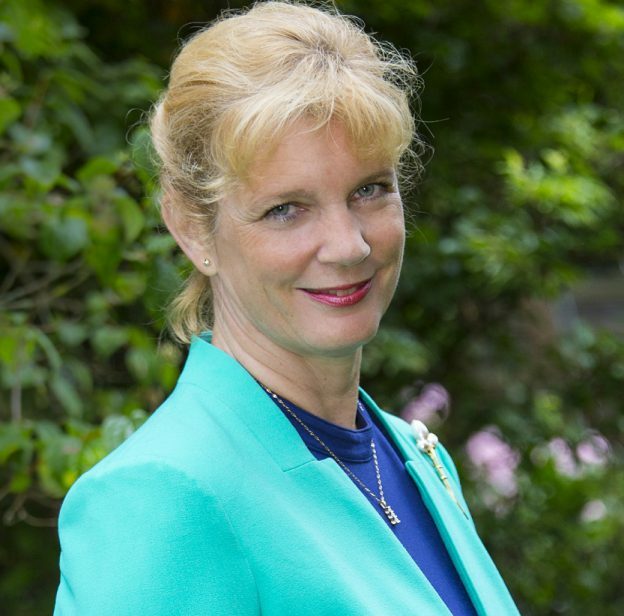 This entry was posted in Business and tagged Aardvark Marketing, Aimme Farley-Higgs, Gill Hutchinson, Headturner Search, Worcestershire Talking Heads on 17th August 2018 by Gill Hutchinson. I recently read a story on the BBC website* about fire doors and how, in the aftermath of the Grenfell disaster, testing of a range of fire doors revealed that 5 brands failed their safety tests. On top of the issues over the cladding used at Grenfell and apparently in other tower blocks, it seems to me another scary example of self-regulation not working properly. Whilst there are exceptions, often what we read after the event is that processes were put in place and were followed, assurances were sought and received, people appeared to have done everything ‘by the book’ and yet a serious ‘failure’ still occurred. Thus all the boxes get ticked but the end result wasn’t achieved. I have always worked on the premise that in addition to having the right process and supporting systems, we need to think about people. Understanding the motivations, fears, etc. of the people who execute the process and getting them to adopt the changes required has always seemed to me the most crucial and most difficult element. Given the right brains, IT experts and money, designing the process and systems isn’t too hard. Getting inside the heads of the people involved is a challenge on a different level. 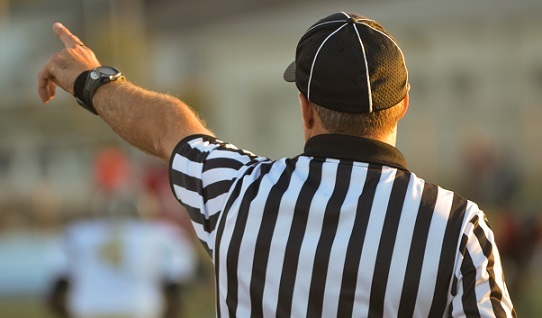 When it comes to regulation and compliance, most people are going to see it as a something that gets in the way of them doing what they want to do. It’s probably not going to feature in how they are rewarded either, so let’s not be surprised when people try to find ways to get around the system or pay ‘lip service’ to it. To ‘people’ I would also add ‘outcomes’. What is actually happening? The process was designed to achieve a specific result, either to make something happen, or, in the case of regulation and compliance, probably to prevent something happening. This is where the feedback comes in, often referred to in systems language as a ‘feedback loop’. This can be the end results or indicators that give us a good idea if the process and systems are delivering. The same principles can and should be applied in business and in marketing. Great marketing is built around a model, or process, with supporting systems and trained people who stick to the plan, all underpinned by KPIs and end result measurement (sales) that allows us to continually monitor and improve the process. When this comes together well, we achieve marketing objectives, support the achievement of business goals and deliver a strong return on investment. If that sounds like the kind of marketing approach you would like in your business, give us a call on 0121 222 5743,or contact us by email and we’ll organise a no-obligation meeting. This entry was posted in Sales on 14th August 2018 by Gill Hutchinson. In a race to the bottom who loses? I had the unhappy task today of attending the funeral of my uncle. He died a couple of weeks ago aged 89 and packed a lot into those 89 years. One of the comments made about him was about his attitude to work-life balance. Of course, it’s easy to say that was a different time, before email, mobiles phones, the Internet etc. etc. But all those things were supposed to make life better for us. And yet this afternoon, I sat with the rest of the congregation during the service and talked to them afterwards and heard great story after story about my uncle in his work, the time he gave to good causes and how much he put in to being a husband, dad and grandfather. I wondered if any of the technological ‘advances’ of the last 30 years would have made him more admired, better remembered or more loved. I don’t think so. As with most ‘advances’ there are choices about how they are employed, and we are complicit in those choices. If the digital age just means we all work longer, are more stressed, and don’t give our full attention to those who matter most when they need it, just to avoid being left behind, but don’t gain any meaningful advantage then what’s the point? It’s like discounting – driven by fear of missing out, but the only measurable result is reduced profit. I would love to think that when it’s my turn (hopefully not for a long time) those who attend my funeral would say as many nice things about me as I heard said this afternoon, but I I know the work-life balance stories won’t be as glowing and that doesn’t feel good. This entry was posted in Business, Marketing and tagged Chris Hutchinson, race to the bottom, technology, Work/life balance on 1st June 2018 by Gill Hutchinson. Aardvark Marketing Consultants are celebrating winning two UK awards at this year’s Technology Innovators CV Magazine awards, building on their success in 2017 and 2016. Technology Innovators CV Magazine Awards have just announced the 2018 winners, with Aardvark Marketing receiving the Excellence in Marketing Management Services and the Social Media & Content Marketing Specialists. In previous years, they took home the Marketing Automation and Marketing for SME awards. The West Midlands based marketing firm specialises in providing outsourced marketing at a level and budget to suit, from their Marketing Manager package to part-time Marketing Director service. 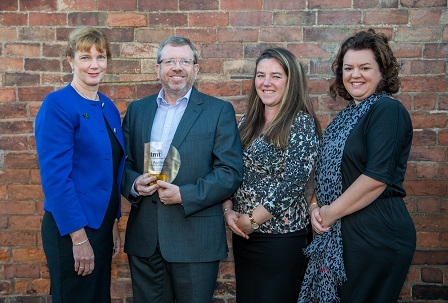 Gill Hutchinson, director at Aardvark Marketing Consultants, says: “We’re pleased to have been recognised as innovators once again! We’ve worked hard over the past year to develop our Marketing Manager package, an affordable and flexible marketing solution for SME businesses.” Marketing Manager provides sales and marketing expertise with a first-class team as and when you need it. This results in more sales and increased profitability, without the risks and costs of employment. 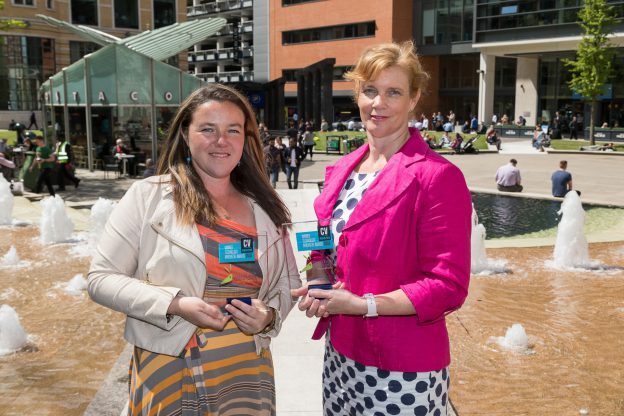 Aardvark have been selected in the current intake of the prestigious Nat West Business Accelerator programme, based at Brindley Place in Birmingham, to scale up the Marketing Manager business in the UK. This entry was posted in Marketing and tagged Aardvark Marketing Consultants, CV Magazine technology Innovator Awards 2018, Excellence in Marketing, Gill Hutchinson, Lizzie Hopkinson, Nat West Business Accelerator, Social media & Content Marketing Specialists on 22nd May 2018 by Gill Hutchinson.